‘I’m not doing that again!’ I said to myself. And, if you’ll forgive that writing no-no, the adverb, let me tell you I said it to myself FIRMLY. See? That’s how I looked. Determined. But without the ginger hair. Or the earrings. And admittedly I rarely wear that shade of pink, but then with that hair colour, nor should she. What d’you mean, you’ve guessed? Ok, so the post title might be a clue. But it wasn’t NaNoWriMo in its entirety that I was rejecting, just the concept of ever attempting it again before I finished my degree. Toooo stressful. And guess what? The degree is still unfinished. I’m in my last year (although confusingly, not one of my finals years – there’s a certain degree of flexibility with the OU and I left the course I least fancied until last!). Also the other commitments that stalled NaNo last year are still there. Naturally then, I won’t be doing Nano this year. Nope. NO WAY. Well that’s what I kept on saying… until a few weeks ago, when my writing was going well again after a long break, and I had managed to get ahead of my degree course by starting early and only studying what is necessary to get me through the essays (fear not, I’ll study the missed texts before the final exam. It’s not lazy studying, it’s smart studying!). Plus I knew the first few days fall in half-term – so I’ll be working but not in work, making my time more flexible. But starting something new? Did I have to? 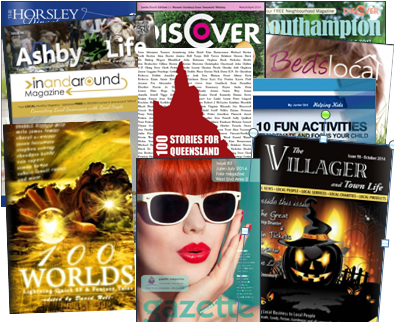 I still had last year’s novel to complete, and I’ve been busy trying my hand at a serial and getting back in the swing of writing short stories. I didn’t want to start something new, or develop other novels I had in the note stage, until I had this one done. I’d promised myself it would be ready to send out by the end of the year, and that wouldn’t happen if I started something new. But I didn’t want to cheat! What to do? And then I came across this blog post on NaNoWriMo Rebels by Rachel Naquin…and realised NaNo has a legitimate home for me. 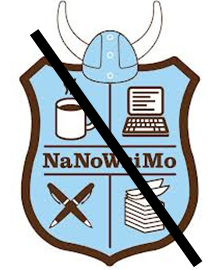 I AM an Official NaNo Rebel – and proud of it! If you’re not sure whether you qualify too, check out Am I a Rebel? 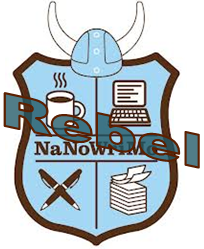 You can hang out with other NaNo Rebels and tell them How You Are Rebelling.